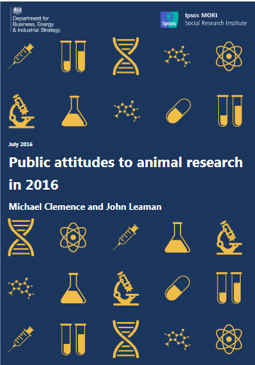 Ipsos MORI have reported on the findings of a 2016 survey which examined the current public awareness of and attitudes towards, the use of animals in research. The survey also examines attitudes towards, and trust in, the regulatory system and the people who work with animals in research. 34% say they feel either very or fairly well informed, a similar finding to 2014 when 30% felt well informed. Many people continue to believe that cosmetics testing on animals is allowed in the UK which is not the case as testing cosmetic products and their ingredients on animals was banned in the UK in 1998 and across the EU in 2013. PreviousHow will Brexit affect UK Science? Continuing Professional Development (CPD) is a prerequisite for many professional medical and scientific disciplines but less common for those involved in laboratory animal work. Revision of Directive 86/609EEC requires that persons “are adequately educated, competent and continuously trained” (Article 23A). The scheme is available FREE to LASA members. Please contact the Secretariat for more information.